Apidren Review (UPDATED 2019): Don't Buy Before You Read This! 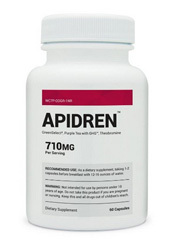 Apidren is a weight loss brand made with a clinically studied proprietary ingredient to help provide potent results. The intended benefits include decreased waist and hip size. There are only 2 active ingredients added to a proprietary blend meant to provide a combined effect that helps reduce fat cells. One 16 week study showed around an extra 3.5 pounds of weight loss in comparison to placebo. They also use testimonials to help show the possible benefits of this brand. In this review you’ll learn about the quality of ingredients, how customers have reviewed it, and what you can expect in terms of weight loss. The lack of quality scientific studies prevents this ingredient from being considered a possible weight loss tool. There was one clinical study which showed that when this was combined with Garcinia Mangostana, that it had weight loss effects. However, this study was funded by a manufacturer who sold this proprietary formula. Studies of this ingredient by itself have not shown any proven weight loss effects. The data available on this ingredient is poor, and much more is need before determining if it would be safe and effective for weight loss. Garcinia Mangostana Extract: Tropical fruit grown in parts of Asia, Florida, and India. It contains a low amount of nutrients. Though the official website for Apidren claims there have been 3 clinical studies on the key active ingredients, they fail to present this information anywhere. So it’s unknown if the studies were of good quality, and what where the full benefits. As far as Garcinia Mangostana on its own, there’s a lack of information to help determine if it would be safe and effective for weight loss. Mangosteen has also failed to have sufficient clinical studies to help show what it could possibly due to help with weight loss. Microcrystalline Cellulose: Anticaking ingredient made from refined wood pulp. It may promote a laxative effect in large amounts. The 2 key active ingredients have yet to be backed by any reliable clinical studies that prove it’s safe and effective for weight loss. The only studies available online which showcase an effect for weight loss are backed by a company that makes a proprietary version of the active ingredients. No unbiased studies are available anywhere. Though studies on the ingredients themselves have either been lacking, or not yet proven by the medical community. The other 3 inactive ingredients are only added to stabilize the product. It’s because of these failings that this brand is a poor supplement. The only supposed clinical studies are not published, and it’s important to look over the data to determine if they’re reliable studies. For a better weight loss option, you can find the best brands by clicking here. There are far too many questions about the safety and usefulness of Apidren that have not been answered by the company. Sales are available directly from the manufacturers. A 30 supply sells for $49.95. This means that you pay a daily price of $1.66. This is expensive for what’s only a combination of 2 active ingredients. Garcinia Mangostana extract has not been shown to help with weight loss according to multiple clinical studies. Also, Sphearanthus Indicus is also lacking enough studies to show if it’s truly effective. For brands which contain only clinically backed ingredients, you can click here. The major problem with this supplement is that although the company uses clinical studies to help show its effects, they fail to cite the actual studies. There can be flaws in this study, and it’s unknown if they can be trusted without looking at the data. The company uses graphs to help show what the difference is between this proprietary blend and a placebo, but much more information is needed to determine the overall quality. They fail to add how many people were tested, if they were on a diet, how much of the formula was used, and what possible side effects were experienced. The makers claim that these findings were made public at the 56th Annual Meeting of the American College of Nutrition. In researching this, it has not been cited or proven to be actually true. It’s unknown if the company is actually telling the truth. The FDA sent them a warning letter for making unverified health claims about their supplements. They required the company to stop making these claims, and to respond to the warning letter within 15 days. Information on the company is difficult to discover. Though they have a Better Business Bureau listing, their contact information is completely different, with a different state as well as to what’s on their official website. It’s unknown what the company stands for, and whether or not they changed their marketing clainms that the FDA warned them about. There’s also no mention of a money back guarantee, so all sales are final even if one were to fail to experience any weight loss benefits. The majority of reviews were extremely negative, their Amazon.com page currently has 43 complaints. There were issues due to a lack of weight loss, and only uncomfortable side effects. People often experienced symptoms that are only a problem with stimulants. Though it’s unknown how these ingredients could have caused such an effect. There have been issues with insomnia, anxiety, rapid heart rate, jitters, headaches, heartburn, nausea, and frequent bathroom usage. None of these symptoms listed have been shown with the kinds of ingredients used in Apidren. It could be that due to the lack of clinical studies, the side effects experienced by customers are possible. It’s unknown as there aren’t many reliable studies performed on the key active ingredients. Sometimes supplement companies will add unlisted ingredients. It’s unknown if this is the case with Apidren. However, it’s odd that people have experienced side effects only common in stimulant ingredients. To see brands which have not shown these kinds of side effects, you can click here. 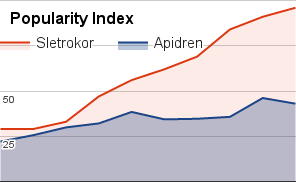 Conclusion – Does Apidren Work? Before you make a final decision on Apidren, it’s important to look at the customer reviews, the company history, and what kinds of proof are provided. The manufacturers fail to ever cite any of the clinical studies, so it’s unknown if this brand has truly been proven to help with weight loss. The company has been flagged by the FDA in the past for making false health claims about their supplements. Also, customers have mentioned they experienced terrible side effects. People have listed many symptoms that include heartburn, rapid heart rate, insomnia, and a lack of weight loss benefits in any form. 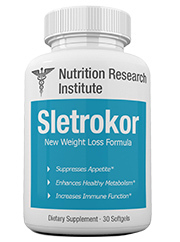 For a better supplement, you can try out the 2019 supplement of the year known as Sletrokor. Click here for more information as to why it won the number one spot. This all natural supplement is made with plant extracts which have been clinically studied. Many people have left great testimonials and reviews to show why it’s so effective for weight loss. Many benefits are possible that include improved mood, increased metabolism, suppressed appetite, stabilized blood sugar, and several other potent weight loss effects. You can even try Sletrokor risk free for a total of 30 days. They offer a full money back return with no questions asked. To learn more, you can click here.